The first ECHO newspaper was published by an eight-student sophomore staff on Dec. 20, 1915. The original staff not only lacked an advisor, but also a class period to work during. Currently, the ECHO has a 12-person staff, meets during fifth hour and is advised by Donald Johnson. The ECHO now uses Adobe InDesign to layout its pages. Looking back at old ECHO’s, it’s amazing to see what has changed. The earliest ECHO in the WGHS archives is from 1915-16, a tattered piece of parchment about ready to fall in on itself. It’s about the same size as the ECHO is now, albeit somewhat thinner and smaller. It is almost completely covered in vertical columns of text, like any old newspaper. From short stories to local news, information about the school seems to focus on sports and upcoming dances, not unlike today. The incredible part of old papers like this one is not so much what has changed, but what has remained constant. A student poll from 1948 details the “ideal partner” of male and female WGHS seniors. By listing the parts of fellow students they would put together to create the ideal partners. The selection included the walk of John Ritzen, and the smile of “Moozy” Owen, for the ideal boy, as well as the brain of Skippy Slade and the clothes of Gail Grone for the ideal girl. 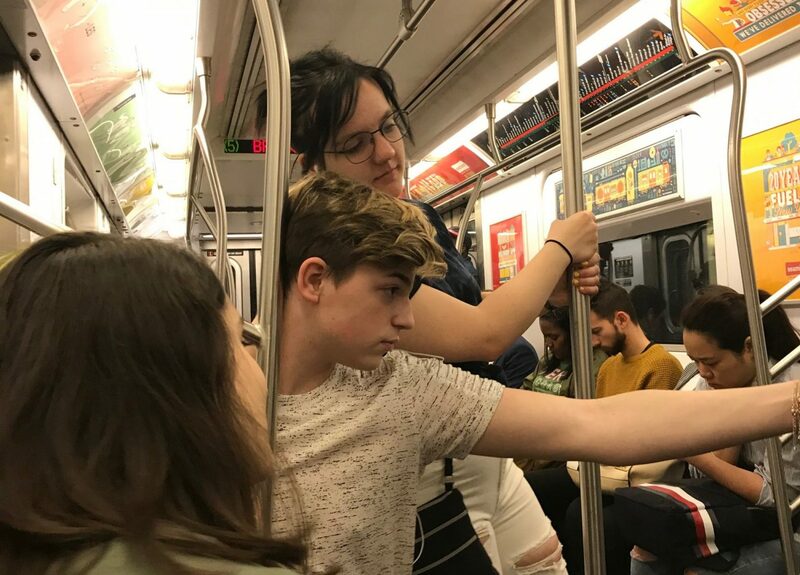 The full list of attributes polled was “brain, hair, eyes, smile, nose, clothes, legs, personality, wit, dancing ability, attractiveness and walk,” all accompanied by the name of a student. The ECHO also switches off every other year with “The Call” to publish a Turkey Day issue. It features all the festivities of Turkey Day Week, like the Chilifests, the Pep Assemblies, the rosters for the game, and of course, the Turkey Day Game. 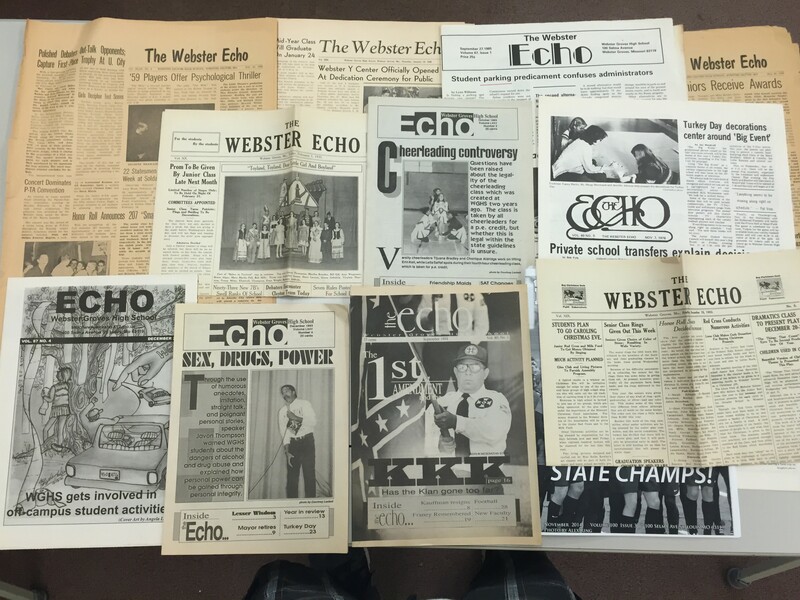 In the 1997-1998 school year, the ECHO advanced technologically and worked to add a website. Dev Bala, who now works at Google, was the first webmaster. Webster’s very own current physics teacher Dr. David Schuster was a part of this team who created the website. “The most exciting part of the ECHO for me was the debates we had while trying to get an editorial position on issues,” Schuster, said. Schuster was one of 25 other staff members when he joined in the 1997-1998 school year. Harris said his classmate Ellen Pfeifer recently organized a luncheon of Webster ECHO staffers from the Class of ’64, where lots of memories were discussed. Russ Mitchell, former anchor of the CBS Evening News weekend editions, The Early Show on Saturday and currently the lead anchor of WKYC, was a former member of the ECHO. “I look back at my time with the ECHO as so important in making me realize that I wanted to become a professional journalist. I remember the rush we all had when would get on publication day. Seeing our stories in print and hopefully making a difference in the school community. I have fond memories of being an ECHO staffer,” Mitchell said.